The 2013 Fylde DFAS AGM was held on Wednesday 6 November 2013. 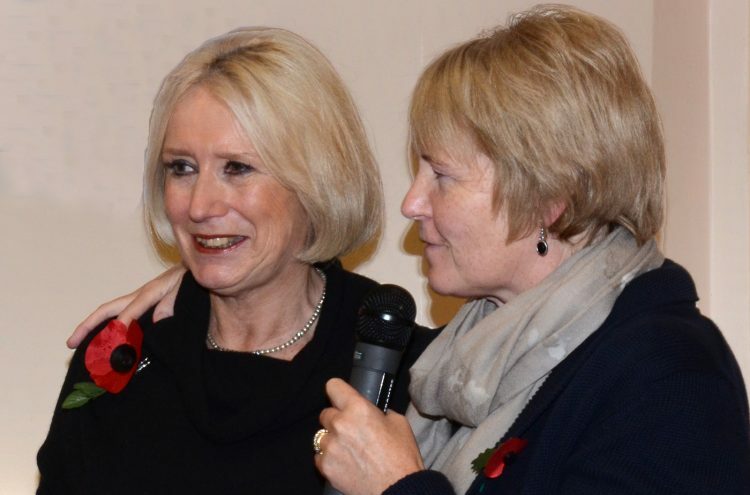 We said goodbye to our current Chair Hilary Alcock and welcomed her replacement Marie Riley. Hilary was a founder member of our Society and it is though her hard work and dedication that Fylde DFAS has become the huge success it is. We owe her a huge debt and wish her a happy retirement! Anyone who knows Hilary, however, will know that retirement is not something she recognises and, so, we wish her all the very best in her new endeavours. Marie is a familiar face and has been an invaluable member of the Committee for some time. She has been responsible for lots of projects, not least applying for and receiving huge grants from the Arts Council for the It’s A Birdie! and Tagging The Treasures projects. We wish her every success in her new role as Chair. We also said goodbye to Committee members John Parkinson and Gerry Corless, and welcomed new members Jean Holland as Treasurer; Pauline Hamilton as our new Membership Secretary; and Rita Calvert as our Volunteer Coordinator. Calling artists in Blackpool and the Fylde!